Have you received your window treatments, but you aren’t exactly sure how to install venetian blinds? Venetian blinds are a great way to give a room some privacy and shade. They are also easy to install. It might seem like a bit of a challenge at first, but we have put together step-by-step directions for you to follow; to ensure you get it right the first time around. We’ll show you how to measure the window, mount the brackets and install the blind. 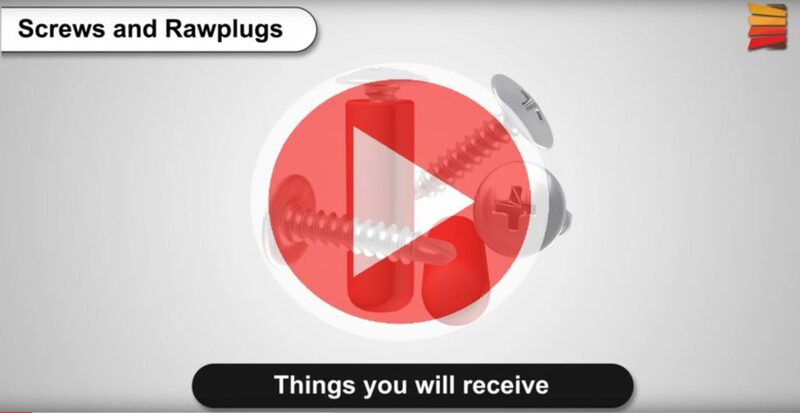 Before we get started, let’s have a look at the parts you will receive as well as the tools that you will need to do the installation. For wallboard or plaster — Use hollow wall anchors for added support (not supplied). For concrete, stone, brick or tile — Use an appropriate drill bit (not supplied) and screws/plugs (provided). For metal surfaces — Pre-drill holes before fastening the screws. That’s it! With these tools and parts, you are ready to start. 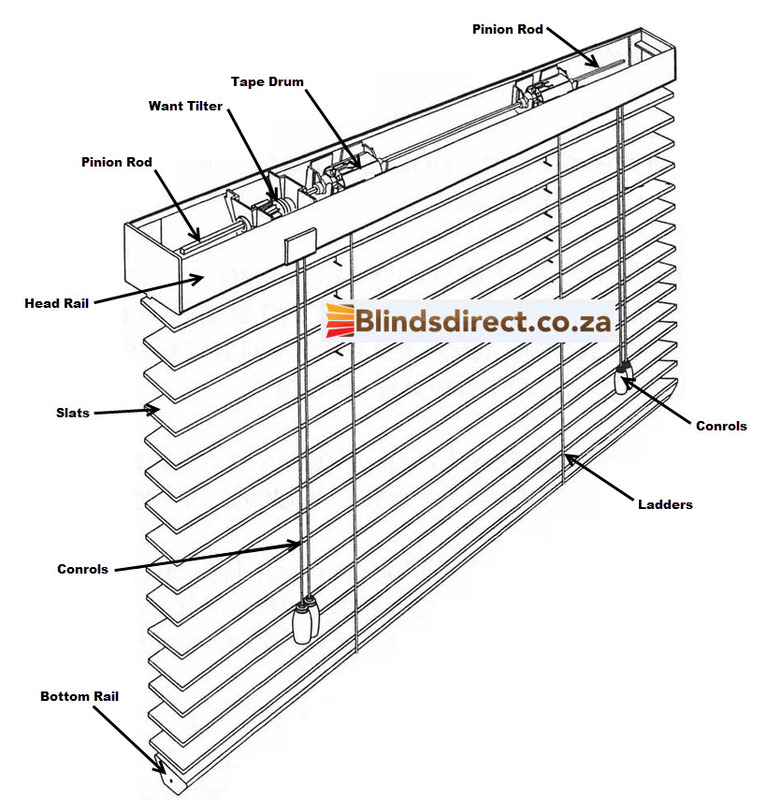 When positioning the brackets, you want to keep an eye out for the mechanism inside the blind. Position it in such a way that it won’t obstruct the mechanism. Take your tape measure and measure in from the end the distance where you will be positioning your brackets (around about 20cm). Be sure to position them forward enough from the window frame in order to prevent any obstruction caused by the window such as the door handle. You can prevent this by measuring how far forward exactly it needs to be placed. Now that you have all the measurements in place, you can use your pencil to mark the position on the head of the frame. Place the edge of the bracket on the marks that you made with your pencil and then proceed to mark the holes for the screws. Next, you are going to use the drill and drill the holes where you just marked with your pencil and then put in the raw plugs. NOTE – this step is only necessary if the venetian blinds are being installed in a wall or lintel. Now that this is done you can fix the brackets with the help of screws. Any additional brackets supplied should be fitted as centrally as possible. Next up, you will be fitting the venetian blind into the brackets. First, you are going to want to make sure that the arm of the bracket is in its fully extended position. When this is done, tuck the edges inside the frame of the blind and then proceed to push the lever into the closed position – this will lock it into place. There you have it! Now that you know how to install venetian blinds, it doesn’t really seem all that hard anymore, now does it? So once your package arrives and you are ready to install your window treatments, just remember to revert back to this post and you will do the job just fine. If you have any further queries, the Blinds Direct team is always here to assist. This entry was posted in Blinds, DIY Blinds. Bookmark the permalink.